Wondering how to navigate the holidays when you work for yourself? 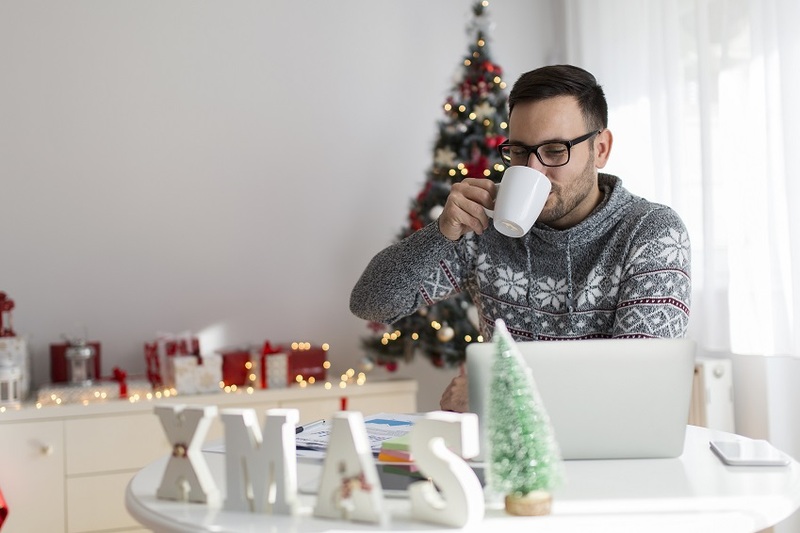 Read on for useful tips on how to get through the festive period as a freelancer. You’re likely burnt out by December, but taking a break can often feel like you’re giving up. Remember, it’s counterintuitive to work all the time – studies have shown that working too much leads to health problems, lower efficiency and a greater likelihood you’ll make mistakes. The best way to maximise your output is to give yourself time off. Send an out of office, and remind yourself that the worst time to chase leads is the holiday period when everyone’s away. To make yourself feel a bit less guilty, send a festive holiday greeting to any potential business and current clients to remind them you’re available in the new year. If you decide to grant yourself a much-needed break, plan ahead and save some funds for a bit of time off. Make sure in the run up to inform everyone you’ll only be available for emergencies. Stress exactly what qualifies as an emergency, though, as sometimes clients have different opinions about what’s really urgent! It’s best to make a rule for yourself to only check your phone or email once a day over the key holiday dates. That way, you’re not neglecting anything important, but you’re also not encouraging yourself to work when you really don’t need to. The holidays are probably the one time of year you can guarantee clients aren’t going to be calling incessantly. Make the most of the quiet period and give yourself a proper holiday! Just as much as you should plan ahead for work, you should also plan your social life. Organise a few gatherings for friends and family, but also check out if there are any freelancer meetings such as Christmas parties or networking events – it’s a perfect time to mingle with other people in the same position as you. The downtime of the holiday period is the perfect time to start thinking about the next year, and to spark your creativity. Dedicate a couple of days (and only a couple!) to dreaming about what the next year can bring. Why not try making a dream goal list? It’s also the ideal time to start chatting to any advisors, mentors, family or friends whose input you value to get the creative juices flowing for the coming months. Take advantage of the Christmas downtime and have a good clear out of your workspace. File everything away properly and collect and get rid of unnecessary clutter, such as old receipts. Give everything a thorough clean and polish, and you’ll feel much better about returning to work after the short break. Even if you only work with digital documents, you can always do a Christmas clean and organise all your virtual files and emails. You could even try to reach that mythical “inbox zero” and relish feeling more zen going into the New Year! This entry was posted in Blog on 4th December 2018 by Julie Tucker.